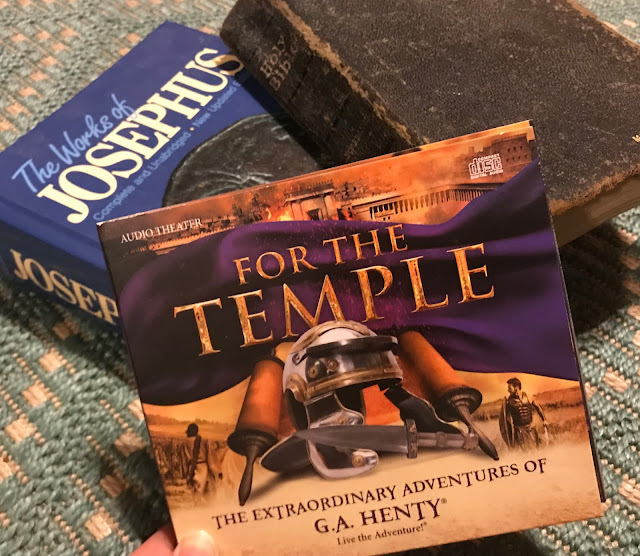 For The Temple is the newest audio dramatization from Heirloom Audio based on the book by G.A. Henty with the same title. 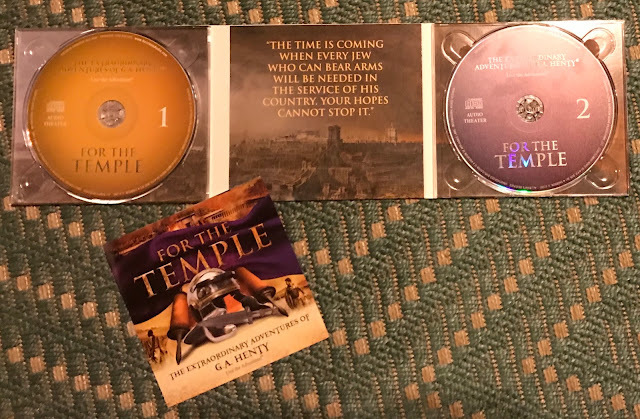 For this review of For The Temple, we received the set of two CDs as well as a download link to the fifty-one page corresponding study guide. This story is unlike many of Henty’s stories that tell of wars in more recent years. Instead it is set just a few decades after the time when Jesus walked the earth. Many of the characters are familiar names and correlating experiences from the pages of the New Testament. The study guide repeatedly connects scripture to the tale told in the audio dramatization. Beginning in the year AD 67, the story tells of battles during New Testament times through AD 70. What are your favorite history books? The Bible is our ultimate book of truth, and I loved hearing this story bringing that time period to life as we listened. This story tied in perfectly with our current Sunday morning Bible study at church which also mentioned the historian Josephus. Elieazor, Simeon, Titus... even Jesus is mentioned. And not from the Bible, but from the history book covering the same period, Josephus plays a big role in this story. One of my most memorable teachers was in fifth grade at a small Christian school. Actually it was a combination of fourth and fifth grades for me, but that’s a story for another time. That teacher taught us the Bible and taught Bible based history in a way that made me love learning. I strive to be a teacher like her. I remember first hearing from her of the evil Nero and his atrocities against God’s people. 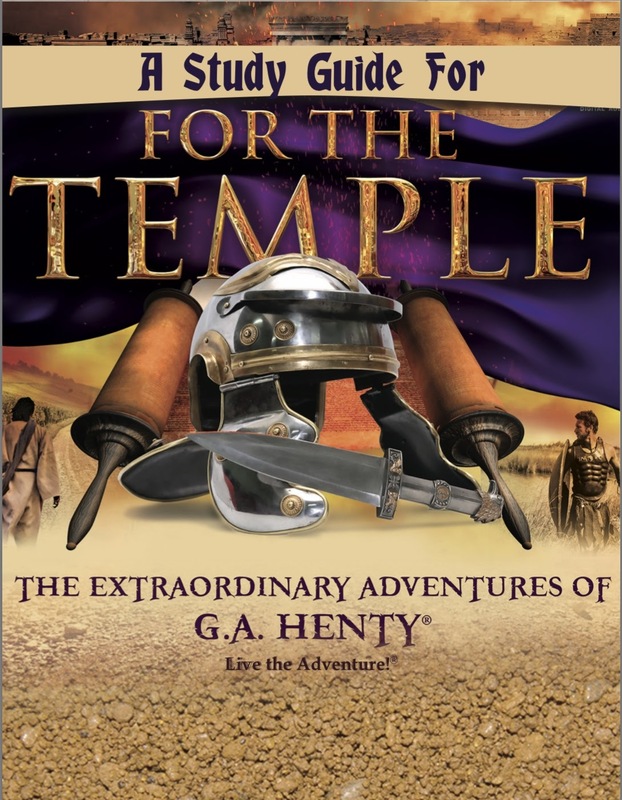 Henty’s story, retold in this dramatization, tells of that same time period, even including the evil Nero, but shared through the viewpoint of a young Jewish boy determined to fight to defend the temple. He ultimately learns how the role of the temple changed with Jesus' life, death, and resurrection. The study guide provided so many extra ways to incorporate lessons from this story into our homeschool. I recently realized that I needed to resume my focus on spelling with my son. He used a dictionary as recommended for the Defining Words sections. Words such as stalwart, diplomacy, fortitude, and proficient were a few of the positive ones. Listening Well gives questions that can be read before listening to each chapter. Thinking Further offers, logic, mapping, Bible study, discussion topics, and much more. Some maps and pictures are included, too. 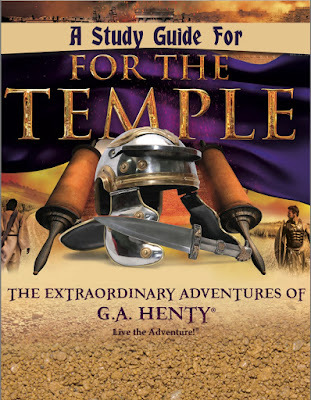 My son said it had a good plot— protecting the temple then making friends with the enemy, and learning about the other temple. He also thought all of the voices sounded even more realistic than before. My daughter appreciated that there were fewer fighting scenes than some of the other Heirloom Audio dramatizations that we have listened to as a family. I discovered that while I have enjoyed listening to these stories on road trips in the past, I was able to more fully attend to the details while sitting in our living room and listening. “There are always more adventures to be had.” We are looking forward to many more. Find Heirloom Audio online on Facebook, Twitter, and as @HeirloomAudioOfficial on Instagram.